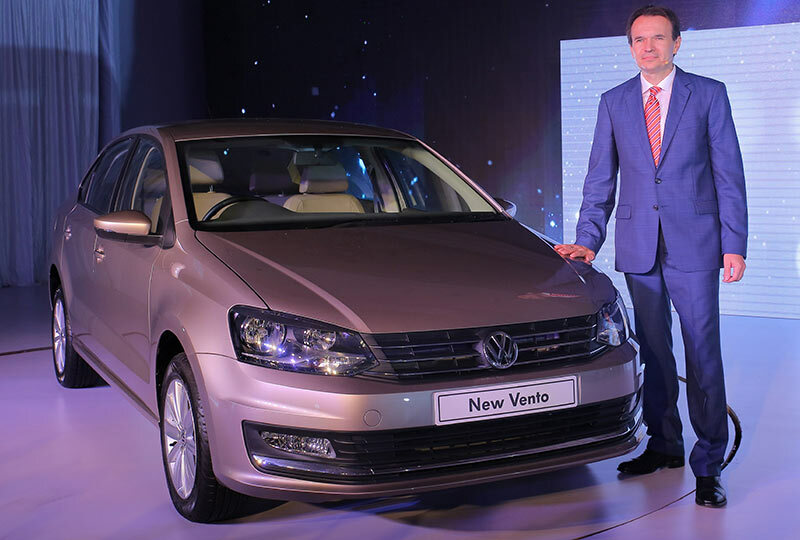 Volkswagen which is Europe’s largest car-maker and a key auto-player in India has launched new Vento which can be categorised as one of the technologically advanced sedans available in India. To suit the customer requirements and driving preferences, the new Volkswagen Vento is available with different four-cylinder engines namely 1.6 MPI, 1.2 TSI and 1.5 TDI. Every engine has its own power output and fuel economy. It is not surprising that Volkswagen gives paramount importance to safety, the Volkswagen 2015 Vento comes fitted with Anti-lock braking system (ABS) in its Comfortline & Highline variants as well as ESP & Hill-hold functions in its DSG variants. As a safety feature, the dual front air-bags is standard across all its variants. We at Volkswagen Passenger Cars are committed towards providing the Indian customers with stylish and technologically advanced products that strive to provide the highest levels of build quality and driving experience. The Vento has always been among our best received products in the market, and with the changes made to the New Vento, we are confident that the product will continue to appeal to our customers and will play a key role in further expanding the Volkswagen family in India. The new Vento’s 1.5-litre four-cylinder TDI turbo-diesel engine produces 105 PS of power and 250Nm of torque, which provides impressive on-road performance, clocking a fuel economy figure of 21.50 kmpl, as per ARAI. The 1.2 TSI engine produces 105 PS of power and 175 Nm of torque, delivering a fuel economy of 18.19 kmpl. The 1.6 MPI engine produces 105 PS of power and 153Nm of torque, with a fuel efficiency of 16.09 kmpl, as per ARAI. With driver safety, comfort and world-class driving experience forming the crux of Volkswagen’s product design philosophy, the changes on the New Vento include electrically foldable ORVMs with integrated LED turn indicators and more powerful front fog lamps with integrated cornering lights, for the benefit of the driver. Lending a stylish touch to the premium sedan are the new front grille, alloy wheels and chrome lining on the boot lid, exhaust tip and door handles. The interiors of the New Vento continue to raise the bar with the subtle style and sophistication that is characteristically Volkswagen. The New Vento now offers the cruise control mode that further enhances the driving experience. Other changes include an all-new cooled glove box and new interior colour themes of ‘Walnut desert beige’ (in Highline) and ‘Cloud – Titanschwarz’ (in Trendline and Comfortline). The price of new Vento 1.5 TDI DSG variant is Rs 10.91 – 11.64 lakhs . The TDI variant of Volkswagen Vento is Rs. 8.93 – 10.47 lakh. The Vento 1.2 TSI DSG has been priced at Rs. 9.68 – 10.42 lakh. and Rs. 7.70 – 9.24 lakh for the New Vento 1.6 MPI.